When two groups decide to co-locate because their constituencies overlap 60 percent, one issue is on everyone’s mind — how do we maintain attendance? 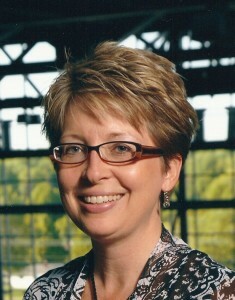 Lynn Golabowski’s medical association client booked its annual meeting back in 2006 for February 2011. Few then could have foreseen the long drag on the economy from the recession and housing bust. Three years later, a critical question rose to the top of the agenda during a pre-planning site visit to Hawaii a year ago: What could the convention center, area hotels and the vice president/team director at ConferenceDirect do to ensure that 3,000 doctors, clinicians, nurses, and technicians would make attending the meeting a top priority? That, however, didn’t hold back what turned out to be a tidal wave of bookings. All 12 contracted hotels collaborated in the pre-sale, and when everyone came up for air, 3,400 room nights had been sold instead of the usual 34. “The Hawaii hotels thought it was a great idea, and they came up with all sorts of special packages — free golf club usage, ocean view for garden view price, restaurant discounts. One property at the far end of the beach already filled nearly half of its block,” said Golabowski (above). It did turn out to be double work for the housing company, which had to load rates twice, and for Golabowski, who had to secure approvals of the plan and execute contract addenda. Still, it is already a win all around. “This was a unique step for the organization and its partners to take,” she noted. The hotels pre-sold between 12 percent and 47 percent of their blocks, which is helping the group meet its booking requirements. While the jury is still out on final attendance, registration numbers, too, are ahead of pace. Associations aren’t the only ones thinking “out of the box.” In today’s more austere era, corporations are acknowledging that they can’t afford to leave individual departments or business groups to negotiate their own meeting deals. Thus the rise of centralized sourcing and strategic meetings management. It’s all about streamlining processes (time) and aggregating purchasing power (money). One of her corporate clients saw the recession coming a year before everyone else, and down-shifted its meetings from upwards of 70 in 2005 to 10 in 2008. But the corporation recognizes that webinars can’t be the sole source of information exchange and learning. As it considers which meetings to bring back, its perspective is much more strategic, and even with shorter lead times, everything is up for negotiation. It took the prospect of a $20,000 attrition bill for a canceled meeting to make that point to the chief executive of one of her corporate clients. Tapping her expertise, which encompasses both hotel sales management and association conference planning, Golabowski rescheduled the meeting to another time with no penalties, cementing the value of her partnership role.